“We are making a lot of progress — moving all the three projects forward with that goal of achieving initial small-scale production within the next year or so…”, started Don Bubar, President, CEO and Director of Avalon Advanced Materials Inc. (TSX: AVL | OTCQB: AVLNF), in an interview with InvestorIntel’s Tracy Weslosky. Tracy Weslosky: Don, I want to start by congratulating you for winning PDAC’s distinguished service award. But first I want to congratulate you on the news you just announced where you provided an update on three of your projects as you race towards small scale production. How about we start with that? Don Bubar: We are making a lot of progress. We haven’t had a tremendous amount of news flow over the last couple of months but that’s not because we have been working really hard. We are moving all the three projects forward with that goal of achieving initial small-scale production within the next year or so. Tracy Weslosky: I continue to pound the issue of sustainability with our audience. We need these critical materials for technology applications. Let’s start with Nechalacho. What is happening there? Don Bubar: We have a new partner there in Cheetah Resources, an Australian private company. They share our vision for the need for small scale rapid production to serve this rapidly growing deficit of the market for rare earths as soon as possible. They have agreed to work with us on that project. We actually have sold them one small part of it to allow them to take the lead on getting that going with our support of course to help them get started and create long term possibilities to grow that project. Tracy Weslosky: And their investment is $5 million is that correct? Don Bubar: That’s the initial purchase price. They will also be investing in whats needed to take the project to next stage of feasibility work and put it in production. 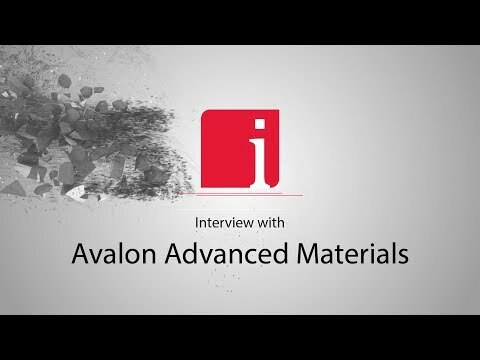 Disclaimer: Avalon Advanced Materials Inc. is an advertorial member of InvestorIntel Corp.